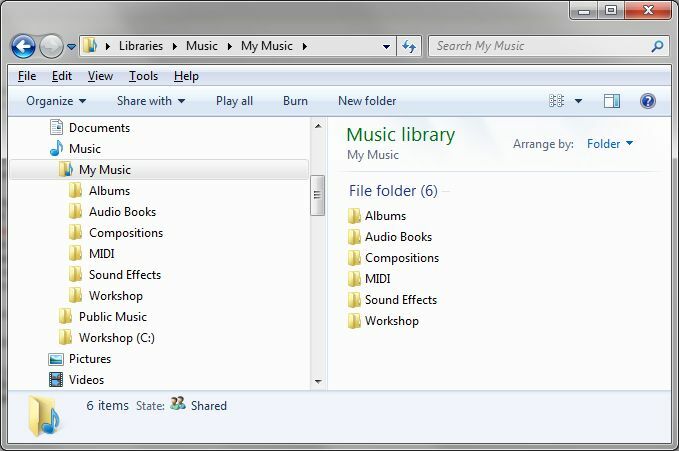 Now that we've looked at the ways digital audio can be stored for later computer access (in other words, for listening), before you actually start ripping your world class CD library, it might be a good idea to plan where, exactly, in the computer should they go? If you were creating a physical library, you would first erect the bookshelves, before bringing in the books. And you would need to plan where the major sections, at least, would go. Broadway? Country? Pop? By genre, artist, title? 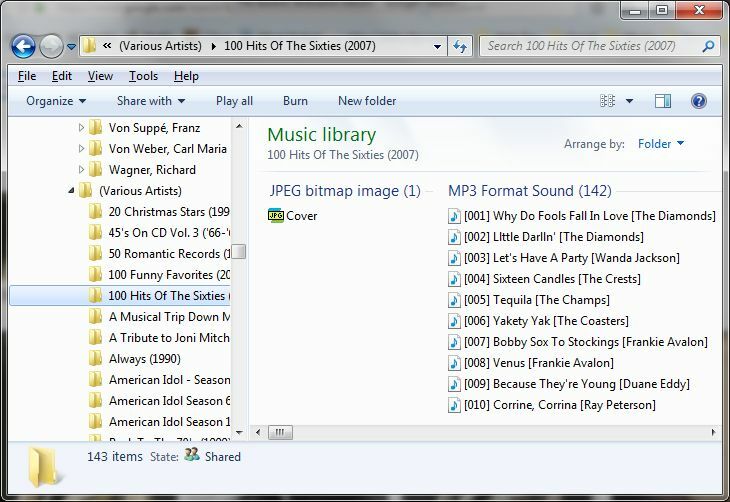 I have been digitizing my rather large library of CDs, LPs and tapes and have gotten well past 10,000 MP3 files. When visitors find this out, their first reaction is usually, "Oh…my…God!" Their second reaction is usually, "But how can you find what you want?" The answer, of course, is efficient organizing, just as it was when I kept all my CDs alphabetized in plastic racks mounted on the wall next to the CD player. But how to do that, you ask? Well, that's the subject of this post. However, I prefer a little more granularity. Need it, actually. See, I don't usually work on one album at a time. Sometimes I go through a flurry of ripping, without applying the finishing touches I'll know I'll want. I need to be able to come back to them later. So at the least I need two subfolders to My Music (and, in reality, several). With that framework at the top level, allow me to elaborate: Albums is for finished tracks; Workshop uses an identical inner structure to Albums but is for tracks that have been ripped but are not yet, for whatever reason, ready for prime time. Years ago (we're talking Windows XP days), at the Albums level, I thought to create sections as one would find in a record store, basically by genre. You might also add "Children" or "Oldies" or any other category that makes sense to you. However, in the years since, I have come to the conclusion that using the built-in Genre tags (and a player that respects them) is more useful. 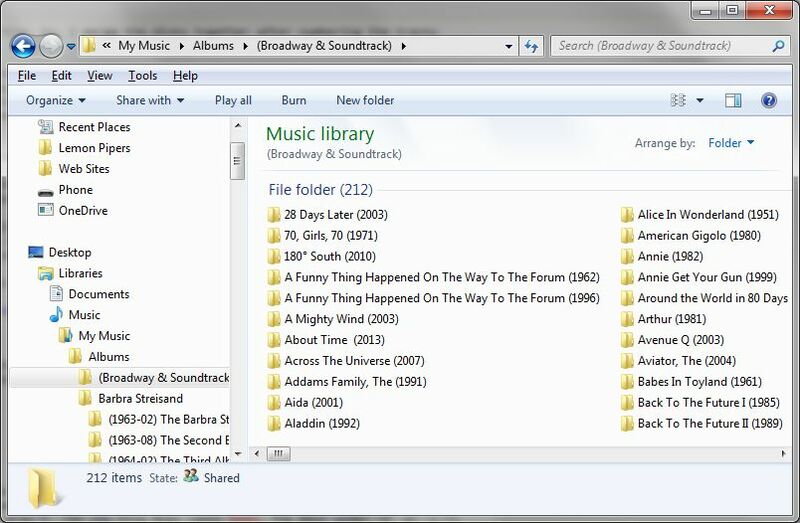 So I now keep most all of my albums in subfolders named after the artist, in the Albums folder, with just a few exceptions (such as "Broadway & Soundtrack", or "Various Artists". And, to make those exceptions stand out, I enclose their names in parentheses, which sorts them at the top. The subcategories (Broadway, etc.) each have their own rules for organizing their contents. We'll return to those shortly; first, let's glance at how the remaining folders are named: By artist name. 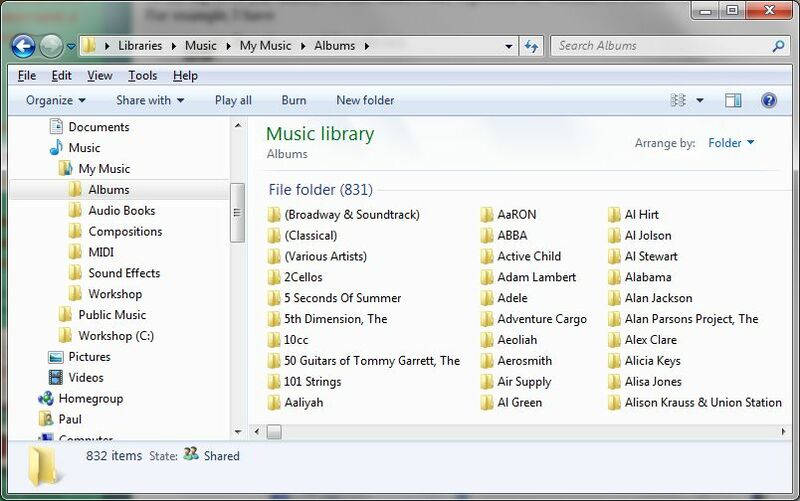 The majority of folders in Albums are named after the artist whose album it is. This is usually the name of a solo artist, or a group. It can also be the primary artist on an album of duets (such as was recently released by Tony Bennett). Albums that are compiled tracks from various artists, go into the (Various Artists) folder, where the rules are different. This is the name as is used by the artist on (at least) the majority of their albums. 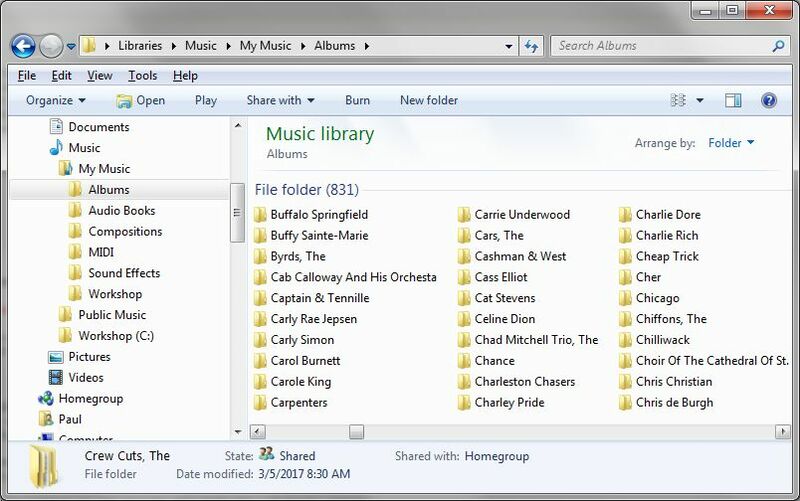 Cab Calloway And His Orchesta, Carly Simon, Cher, Chicago, and Crew Cuts, The can all be found in folders named for those artists, beginning with the letter 'C'. 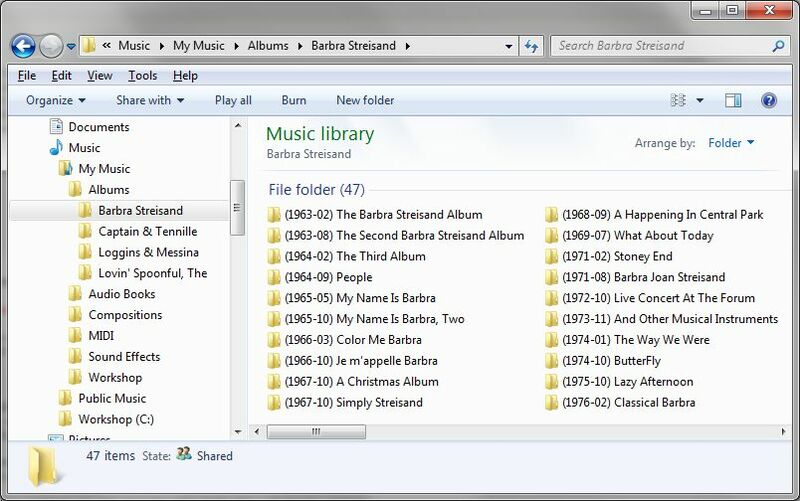 Within each of those artist folders, I'll place each album I have digitized that is by that artist; and I prefix the album name with the date of release, so that they sort in chronological order. In the 1960s, some popular artists released more than one album in a year. In such a case, I append month to the year if known. If not, and I know the release order if not the month, I'll append an A, B, etc. Within each album, I'll include Cover art; the tracks themselves, of course; and any booklets or folders I bothered to digitize. 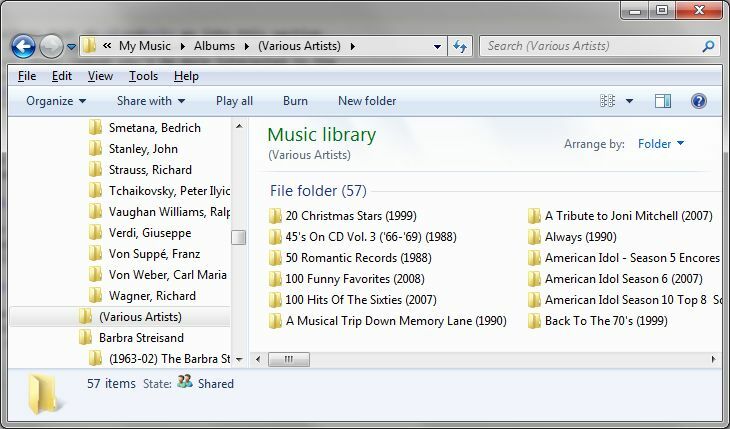 Now, in the case of a multi-CD album, some people like to keep each source CD's tracks separate. I don't. 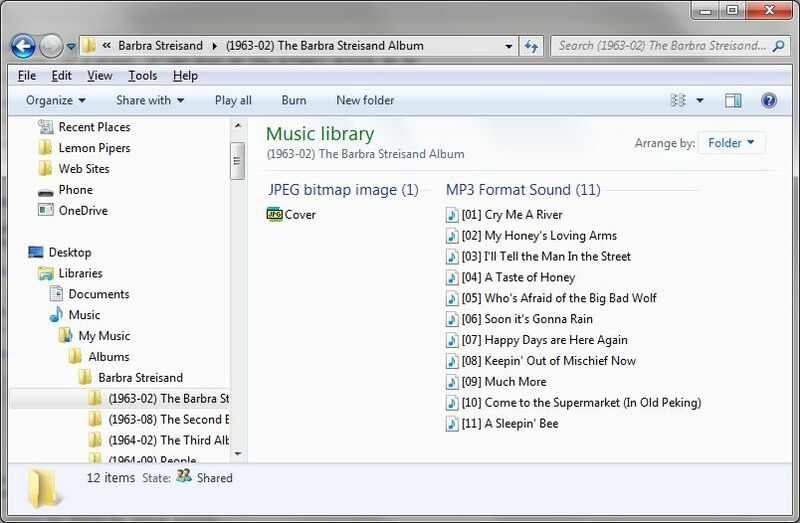 If you really want to remember which disk each track came from, there is a built-in tag for that in the digital audio file. So, I merge the disks together after numbering the tracks realistically. Now, you might well ask where the cover art comes from? 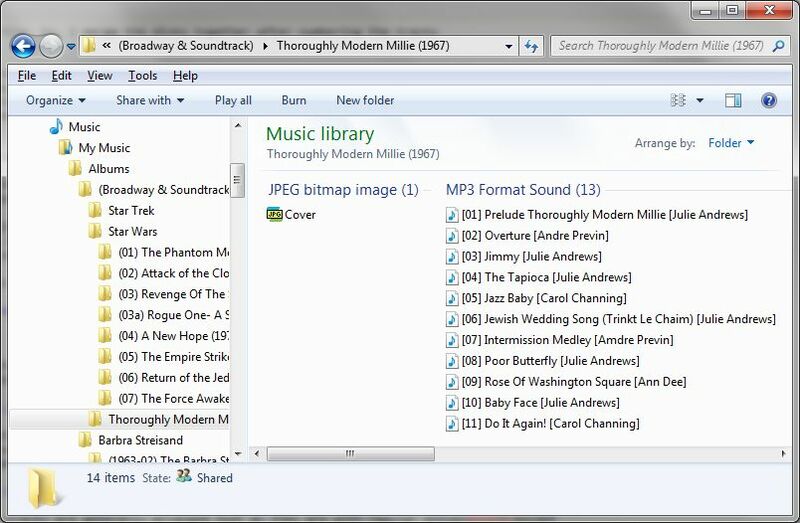 Well, Windows Media Player downloads it to your machine, usually in several different sizes…but what if it's a really obscure album, long out of print and maybe you bought the only copy? Or if you used another ripper, or even just don't like the quality of scan you received? In any of those cases, you'll need to try and find an image of the cover yourself—worst case scenario, you personally scan the cover. Then simply save it in the album folder under the name Cover.jpg. Why not name it "Folder.jpg"? 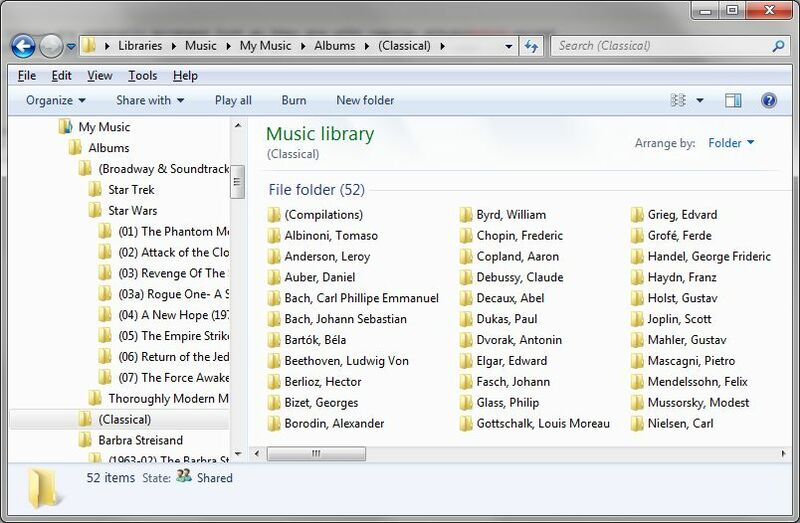 Simply because Windows Media Player, and Windows, itself, use a hidden file by that name. And WMP may overwrite your art, if you name it that. My first source for cover art is always Google Images. The albums in this folder come from the stage and screen. 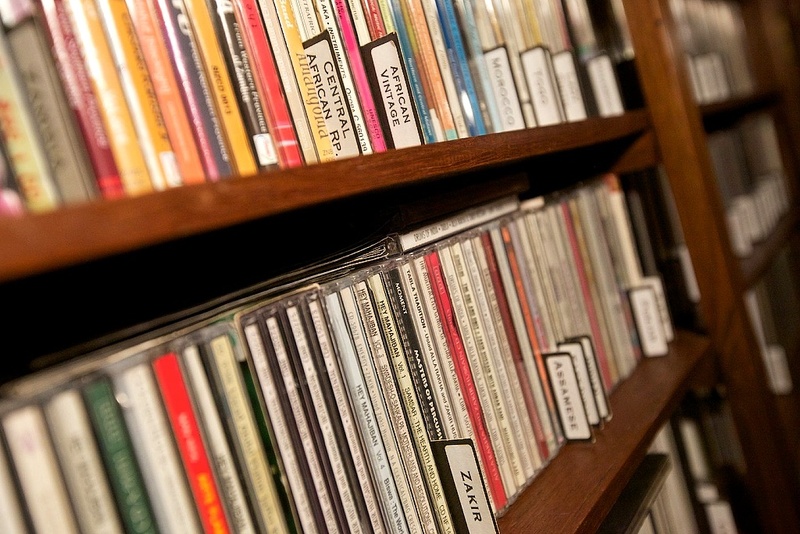 You'll want to find albums by name first, not year of release. Although you need that, too—there have been several remakes of Bye, Bye Birdie, for example. Ah, but even here we find exceptions to accommodate in the name of ease of access. 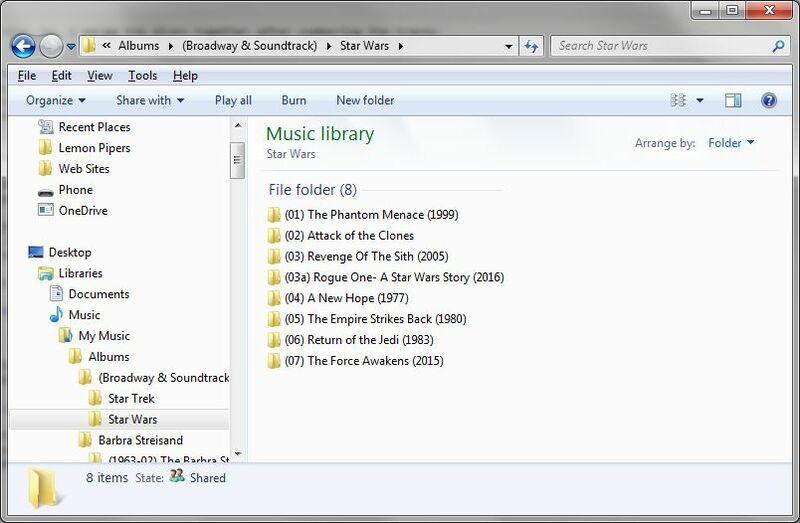 For example, you'd want the Star Wars soundtracks in official film order, which is not the same as release date order. Within each album, however, the tracks are generally arranged just as they are with regular albums—except if the various artists on each track are significant, in which case they get appended to the track name. There are a very few classical albums that do not go into this section. If the album consists of tracks by various composers, the artist performs pop music as well as classical, or for whatever other reason you'd be more interested in the performer than the composer. 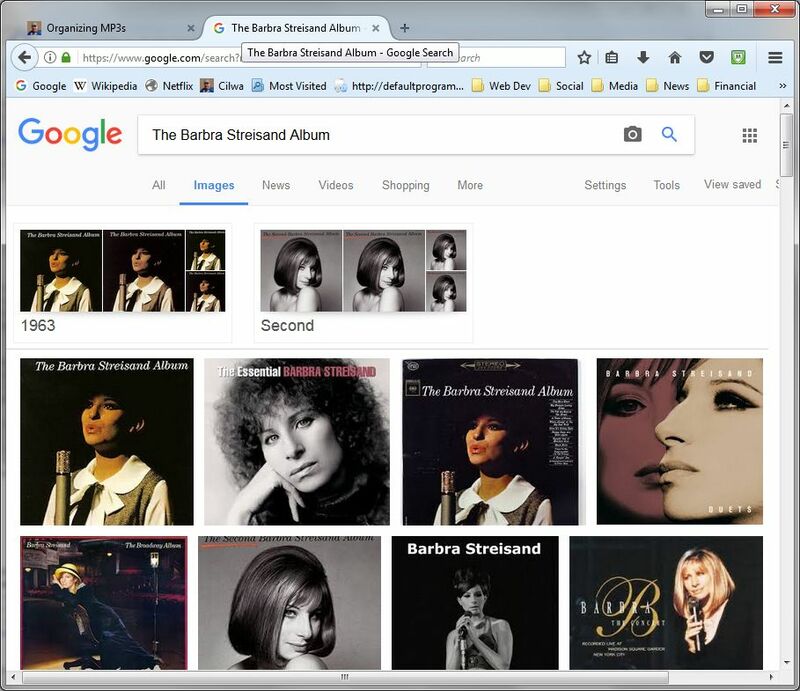 Barbra Streisand's Classical Barbra and Don Dorsey's synthesizer albums are filed under their artists' names, along with any other, non-classical albums they might have. 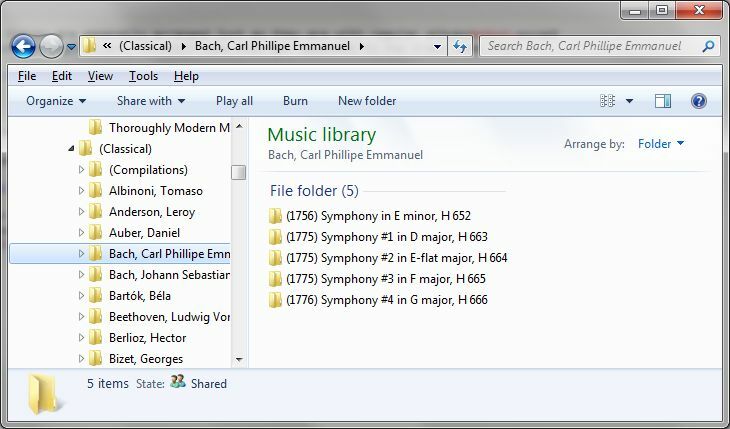 I arrange classical music in this section by composer (because, I, personally, don't care who conducted) and I put the composers' names last name first, followed by the first and middle names, in accordance with standard music library practice. Now, my next step may be further than you want to go. 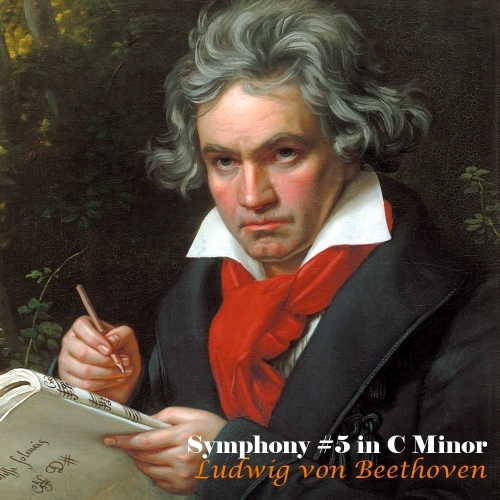 Because I don't retain the concept of "albums" into the classical realm. After all, for most of the centuries the music was written, it was the piece that mattered, not the pieces with which it might be associated. Now, understand: This means I am creating, sort of, virtual albums in which the constraints are the piece, rather than trying to fill the capacity of a CD. (How many performances of Claire de Lune do you need, anyway?!) That means, I make my own cover art for the piece. Because compilations are released and re-released at any time, the release date is of less importance than the album title. So that's how I name the album folders. 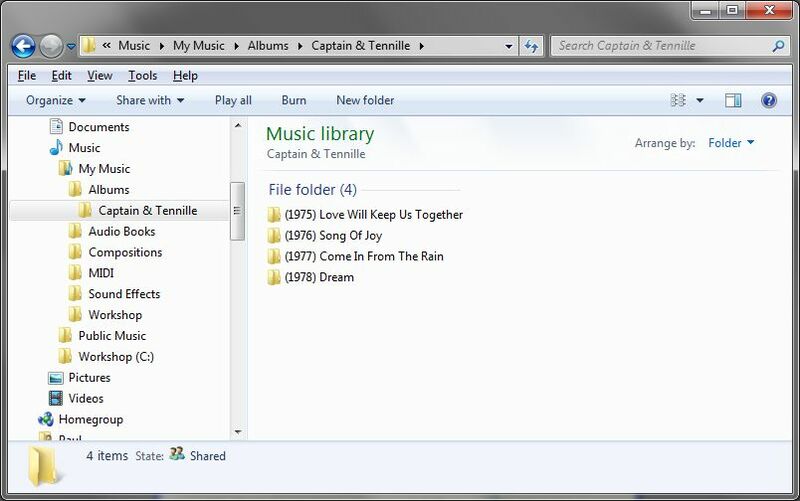 Each album folder is arranged similarly to other albums, except that the performer's name is made part of the track name. You'll be a lot happier in the long run if, instead of digitizing albums willy-nilly, you first plan a naming convention and organizational structure that will work for you. It doesn't have to look like mine! But make it look like something. 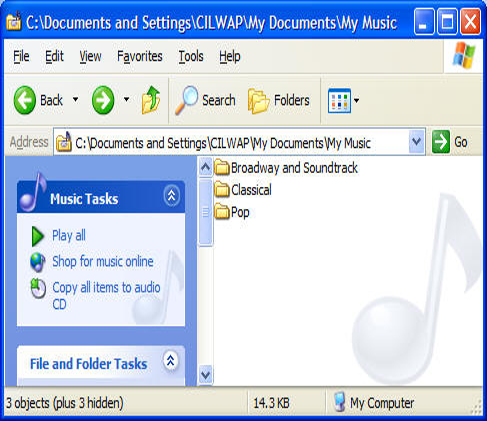 My technique, when combined with properly tagging your digital audio files, will not only support your finding what you want quickly with Windows Explorer, but will also lend itself to use with Windows Media Player and other music applications. So, in other words, you can concentrate on actually enjoying, rather than trying to find, your music!